[WATCH] Are Southern California Jailers Injuring Inmates With Abusive ‘Chicken Winging’ Holds? 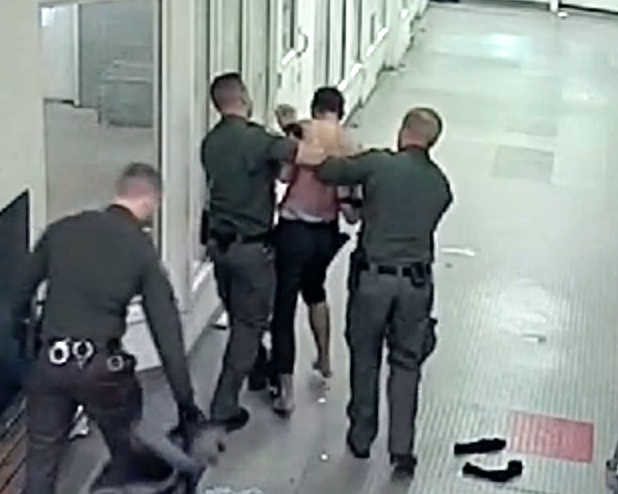 Orange County Sheriff’s Deputy Wesley Dean was admittedly agitated and looking to inflict pain on a jail inmate when he wrenched the man’s hand high behind his back, breaking his arm just above the elbow. After the inmate sued the county, Dean admitted during a sworn deposition that he used excessive force. He apologized for snapping the suspected drunken driver’s humerus bone while using an unsanctioned technique inmates in Southern California jails call “chicken winging.” He also apologized for intentionally stomping on inmate Charles Huntsman’s bare foot six times as he pushed the intoxicated man toward a cell. Dean characterized the incident as a rare, personal lapse, not indicative of department protocol. 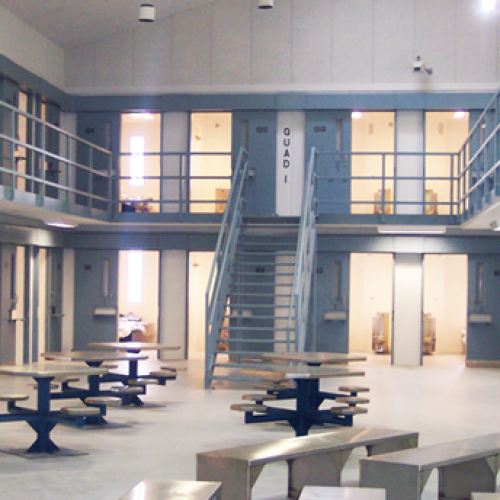 The issue has resurfaced repeatedly in recent years in claims for damages filed against the agency, lawsuits and settlements, as well as a recent high-profile critique of the jail system by a civil rights group. How frequently improper control-holds are used on Orange County jail inmates – and how many injuries may result – isn’t clear. Detailed data on complaints involving such encounters wasn’t readily available from the department. Chicken winging is an imprecise term used by inmates for any type of control-hold in which the arms are swept behind the back and pushed up toward the shoulders. Some versions of the holds are sanctioned by the sheriff’s departments in Orange and San Bernardino counties and other law enforcement agencies. More extreme and often unauthorized versions of the hold include torquing the straightened arms upward away from the back and toward the head, causing the subject to bend over. Arm-holds have figured in legal claims and court battles – including a $227,000 settlement in the Huntsman case last month – against the Orange County Sheriff’s Department dating back to at least 2008.They were cited prominently in a two-year investigation of the county jail system released in June by the American Civil Liberties Union of Southern California. And a former nurse at the county jail told the Southern California News Group that over-aggressive chicken winging has been used by deputies despite warnings from medical workers that it would harm inmates. Orange County officials have denied all the claims for damages. Allegations of chicken winging aren’t limited to Orange County. Last month, inmates at a San Bernardino County jail were given a $2.8 million settlement for abuses that included painful arm-holds. An attorney involved in the award said San Bernardino County sheriff’s employees continue to use improper techniques. 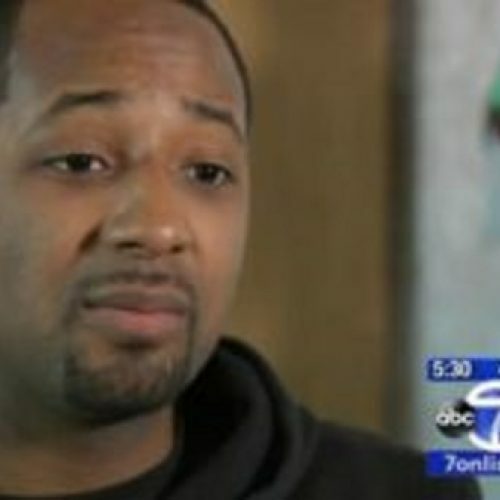 “We’re getting calls that it’s worse than ever before … it’s a form of torture,” Victorville attorney James Terrell said. While some pain-compliance holds are allowed by Southern California sheriff’s departments, law enforcement officials stress they may not be used to intimidate, harass or provoke inmates. Sheriff’s officials in Orange, San Bernardino and Los Angeles counties said all complaints of inmate abuse are taken seriously and investigated. The recent allegations involving improper use of control-holds in Orange County jails come as the system continues to grapple with other criticisms of its operations, including the slaying of an inmate in June and the escape of three prisoners in 2016. The U.S. Department of Justice’s civil rights division is investigating allegations that Orange County deputies and prosecutors systemically misused jailhouse informants and withheld evidence to illegally obtain convictions. And a separate federal probe, triggered by the 2006 murder of an inmate, is examining the workings of the five-jail network. Jonathan Smith, who served as the U.S. Department of Justice’s top civil rights lawyer until 2015 and is familiar with the department’s investigations of the Orange County jails, said the allegations of improper chicken winging found by Southern California News Group suggest institutional problems may remain within the sheriff’s agency.